EghtesadOnline: The government will no longer grant subsidized foreign currency for the import of red meat, Deputy Agriculture Minister Morteza Rezaei told Fars News Agency. Importers of red meat (listed under Group II) are allowed to meet their foreign currency needs from the export earnings of non-oil products (petrochemicals, steel and minerals) traded through the so-called secondary FX market, known by its Persian acronym Nima. The measure is aimed at boosting domestic meat production and ending rent-seeking practices emerging from the difference in the prices of imported and domestically-produced meat. Following the collapse of the Iranian domestic currency, rial, the government introduced controversial import policies, such as banning the import of non-essential goods with domestic counterparts (Group IV products) and allocating subsidized foreign currency at the rate of 42,000 rials per dollar to 25 categories of products (Group I) to cushion consumers from the pressures of the rising cost of living, Financial Tribune reported. Two other groups of imports were also defined: Group II that lists raw materials, intermediate and capital goods (and now red meat) and Group III that consists of consumer goods. Imports of products included in Group III, mostly consumer goods, should be provided with earnings of exporters who not required to offer their foreign currency on Nima. Rice, wheat, poultry, eggs, fertilizers, seeds, raw sugar, oil, soybean, heavy-vehicle tires, publication paper, tea, pharmaceuticals, medical equipment and machinery used for the production of essential goods were categorized as subsidized import items. However, such a policy not only failed to prevent the unprecedented hike in the prices of essential goods and at times their shortage, but also gave rise to the outbound smuggling of subsidized products and opportunities for profiteers. According to the latest report by the Statistical Center of Iran, the third and fourth biggest year-on-year price rise for food items in the month ending March 20 were registered for lamb and beef with 135.4% and 124.4% respectively. On average, a kilogram of lamb sold at 955,735 rials ($6.6) and a kilogram of beef went for 868,246 rials (about $6) during the period. The domestic market for red meat has recently experienced a tripling of prices and compelled middle class families to remove this item from the family food basket. 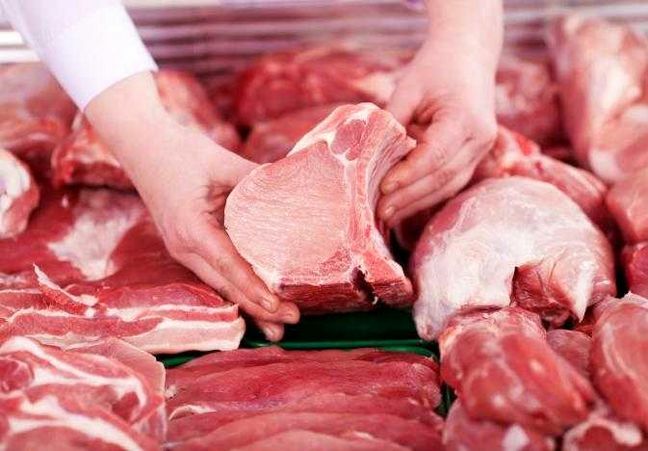 The Statistical Center of Iran's latest report shows a total of 84,200 tons of red meat were produced in Iran during the third quarter of the current Iranian year (Sept. 23-Dec. 21, 2018) to register a 20% decline compared with the similar period of last year. Beef accounted for more than 46,600 tons or 55.3% of the overall production. About 28,200 tons of lamb, 7,600 tons of goat meat and some 2,000 tons of meat from other types of livestock were produced during the three-month period, making up 33.5%, 9% and 2.2% of the total production, SCI reported on its website. Iranians' consume around 920,000 tons of red meat per year, 90% of which are supplied domestically. The top 10 red meat producing provinces in Iran are Khorasan Razavi, Fars, East Azarbaijan, Mazandaran, West Azarbaijan, Isfahan, Khuzestan, Tehran, Ardabil and Hamedan. Imports are made from CIS countries as well as from Brazil and Australia. Romania and Armenia have expressed readiness to supply both sheep and mutton to Iran.